This site’s author is Jeopardy!-obsessed (weird to see an exclamation point followed by a hyphen, but there you go. Actually, it’s weird to see an exclamation point but that’s part of the trademark/copyright). 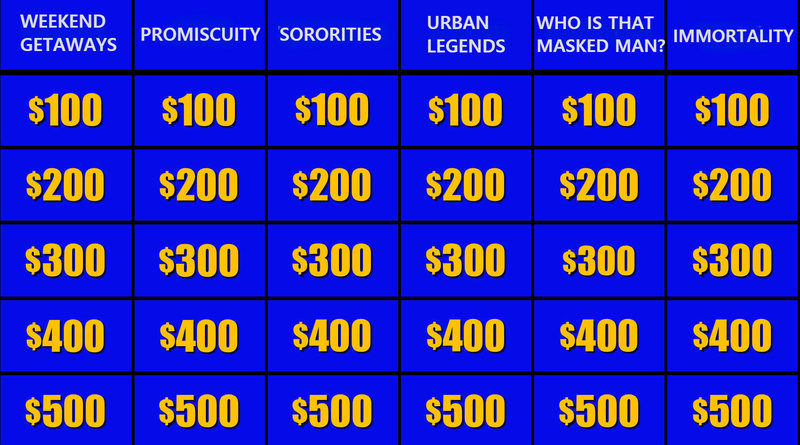 Anyway, here are the dream categories for gore-hounds should horror be the order of the day on Jeopardy! This entry was posted in Horror and tagged 80s horror movies, slasher films by Really Awful Movies. Bookmark the permalink.